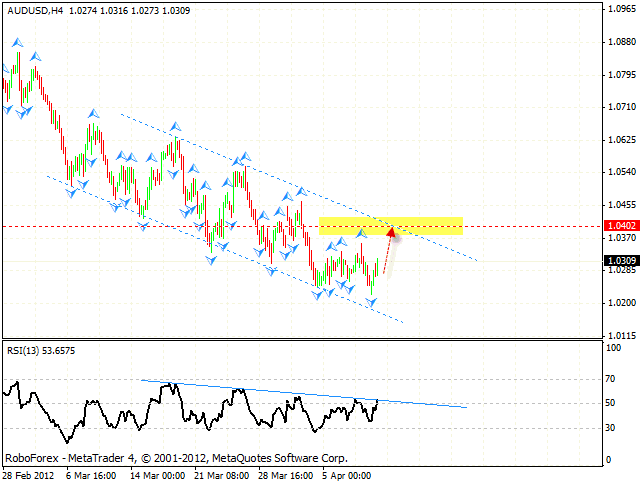 The EUR/USD currency pair continues moving according to our forecast, and by now it has left the descending channel. One can consider buying Euro with the tight stop, the target of the growth is the area of 1.3205. 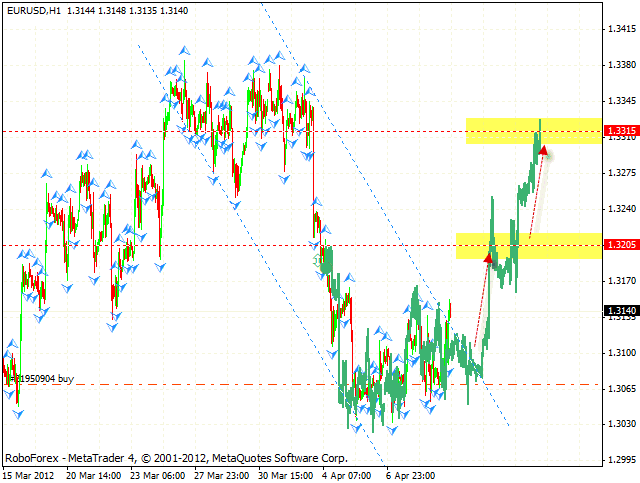 If the price breaks this level, the pair will continue growing up into the area of 1.3315. But is the price falls down lower than 1.3030, this case scenario will be cancelled. The GBP/USD currency pair is also moving according to the forecast. At shorter time frames we can see the formation of the ascending pattern. The target of the growth is the area of 1.5965, one can consider buying Pound near the level of 1.5890. If the pair falls down lower than 1.5870, this case scenario will be cancelled. Franc continues moving downwards as the pair reached all the targets of the descending pattern. 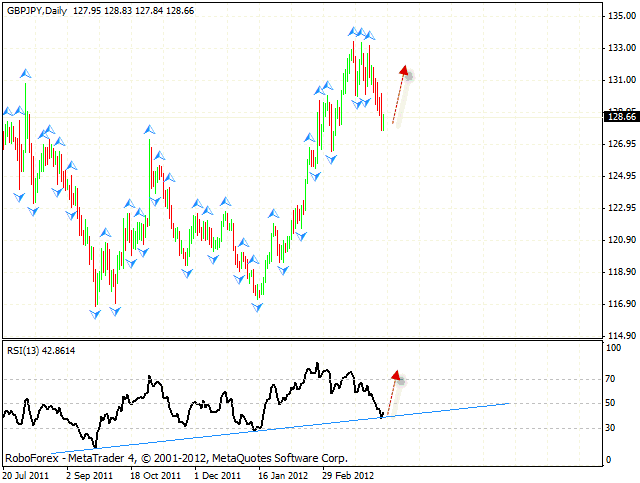 The RSI indicator was supported by the trend’s ascending line. If Franc falls down lower than 0.9120, the trend’s line at the RSI will be broken. In case this happens, we should expect the pair to continue falling down into the area of 0.9050. 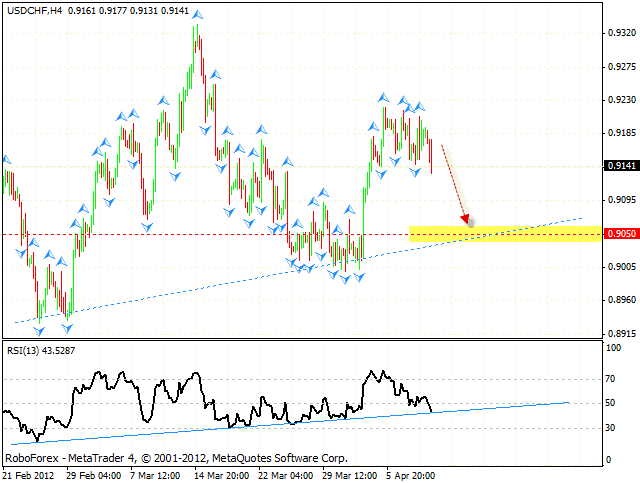 At the moment aggressive traders can consider selling the pair with the tight stop. Australian Dollar continues falling down inside the descending channel, the price has already tested the support line. We should expect the pair to be corrected upwards, the closest target of the growth is the area of 1.04. One can consider buying Australian Dollar with the tight stop. 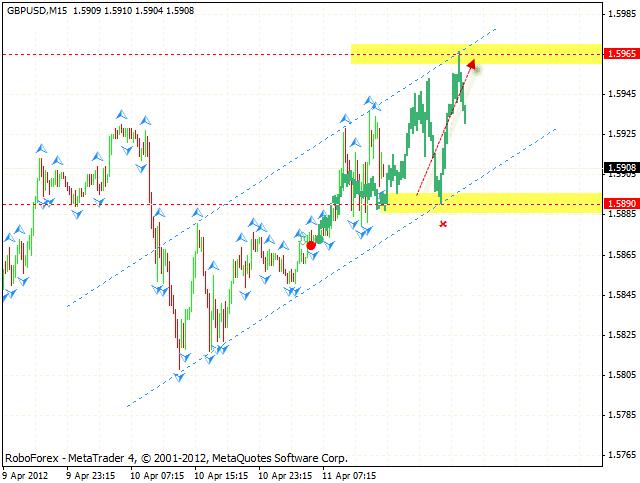 If the pair continues falling down into the area of 1.02, this case scenario will be cancelled. 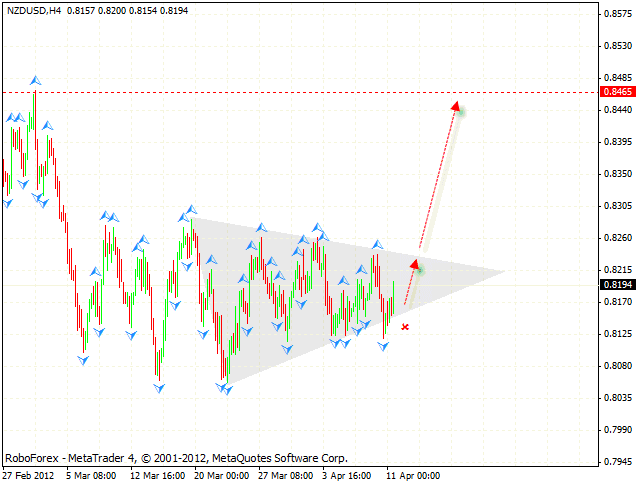 New Zealand Dollar rebounded form “triangle’s” lower border. At the moment one should hold the long positions, or consider opening new ones from the current levels. We recommend to increase the amount of purchases only after the piece breaks the level of 0.8240. The target of the growth is the area of 0.8465. 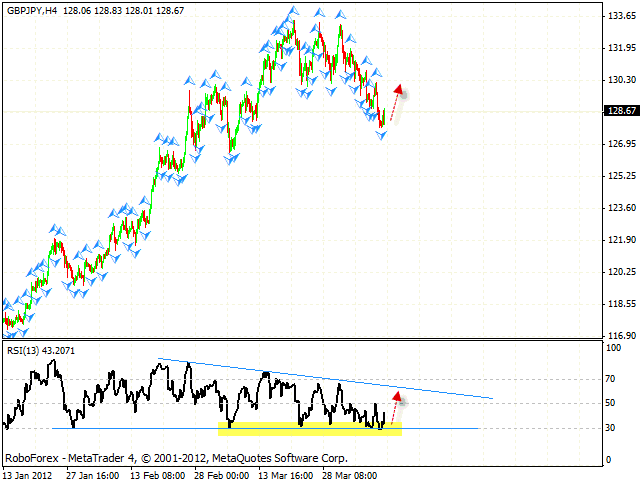 The GBP/JPY currency pair fell down a lot. However, at the daily chart the RSI indicator was supported by the trend’s ascending line, we should expect the pair to rebound upwards. At the H4 chart the RSI indicator was also supported, one can consider buying the pair with the tight stop from the current levels. The target of the growth is the resistance level in the area of 130.30.